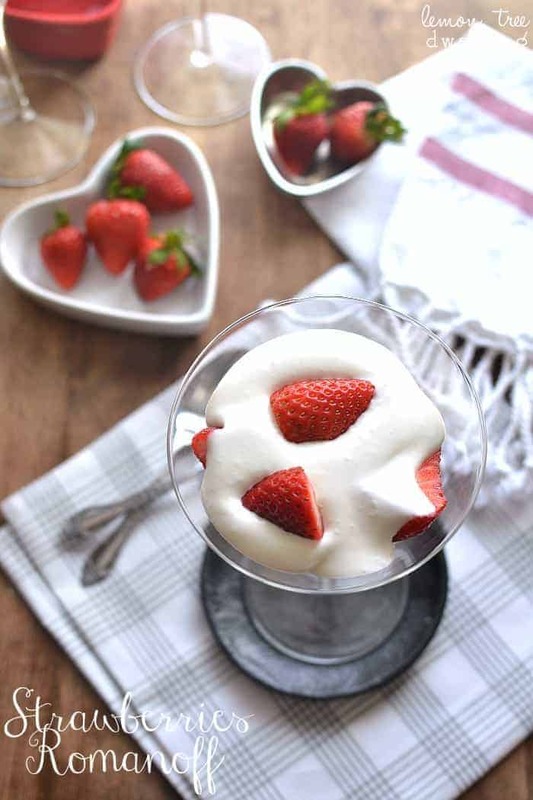 Strawberries Romanoff is a simple, elegant dessert that’s perfect for Valentine’s Day or date night in! 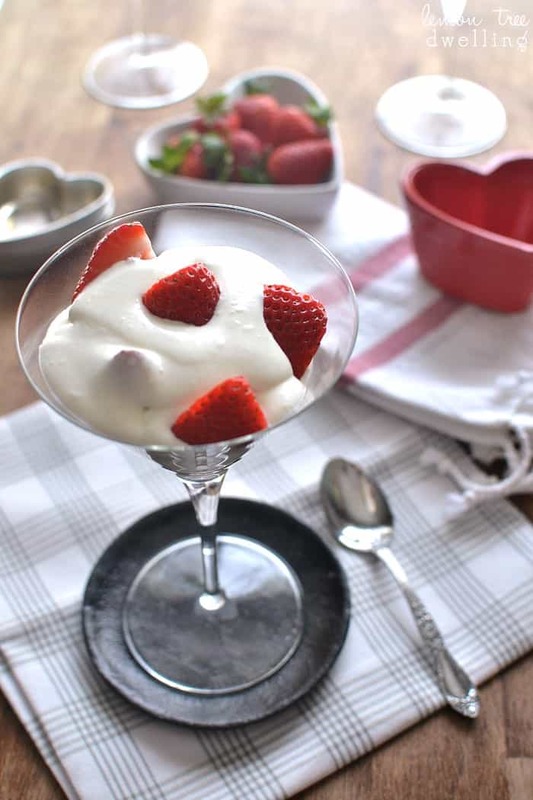 A quick and easy dessert that is light a refreshing! Happy Groundhog’s Day! The day after the Super Bowl….did you watch it? We had it on, and were definitely watching, but after the Packers’ devastating loss a few weeks ago, the Super Bowl wasn’t quite what it could have been. It was definitely not the highlight of our weekend – not even close! Because this weekend the hubs and I had a date night, which trumps football any day of the week. It’s been a LONG time since the two of us went out…..and despite the chaos of getting out of the house (which always makes me wonder if it’s actually worth it) we had a FABULOUS time! We started with drinks at a great place that makes delicious hand-crafted cocktails, followed by dinner at our favorite tapas place. It’s one of those places you dream about because the food is that good…..and it never disappoints. There were no heavy topics that needed discussing, no hidden resentments that can sometimes sneak out and ruin the night. Just the two of us talking and laughing and enjoying one another’s company. And the delicious food! Complete with dessert, which was Irish Car Bomb Cake, and absolutely divine. There’s something about ending the night with dessert that always sounds like the right decision. 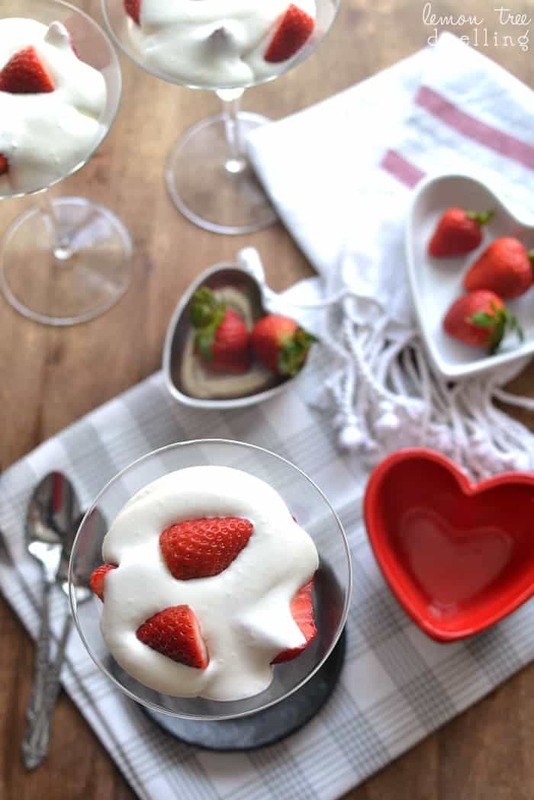 And since date nights out are few and far between, and we’ll be staying in on Valentine’s Day, I thought I’d get to work on making a dessert that is worthy of date night….without a lot of fuss! 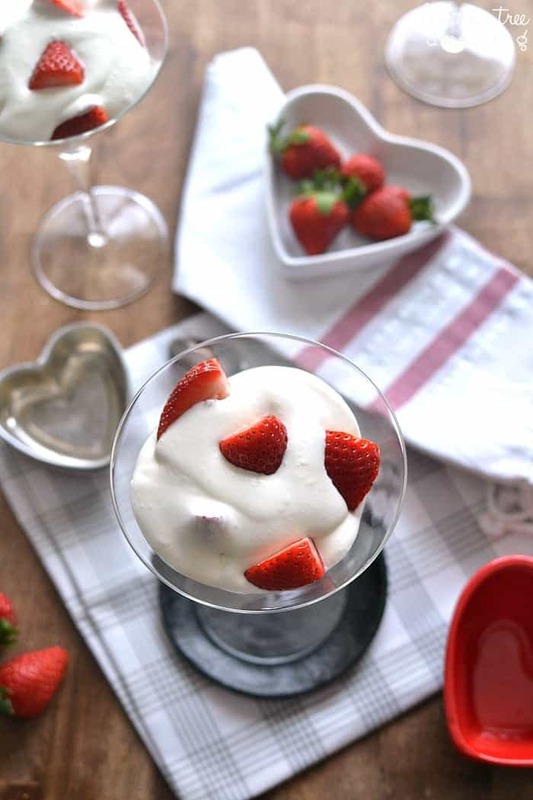 This Strawberries Romanoff is perfect. Simple, yet special. Light, yet decadent. Boozy, but not too boozy (not that you were worried)! 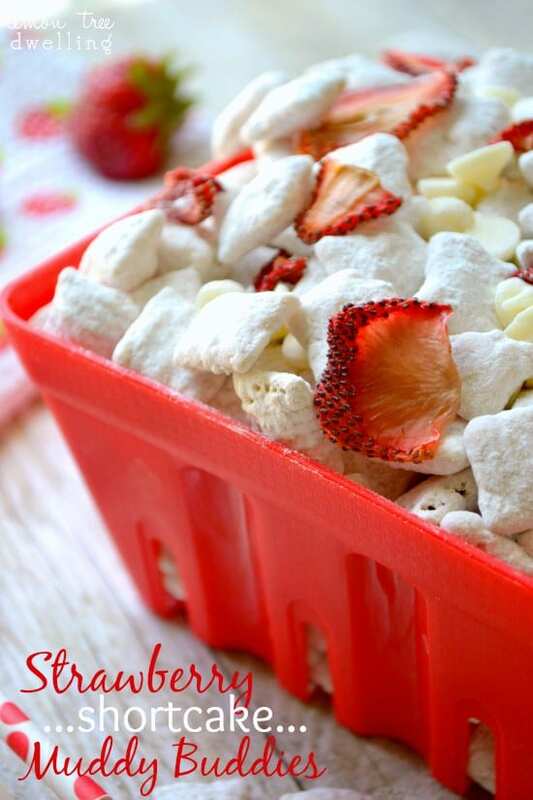 Combine cream cheese, Cool Whip, orange liqueur, and powdered sugar in a large mixing bowl. Mix on high speed until smooth and well-blended. 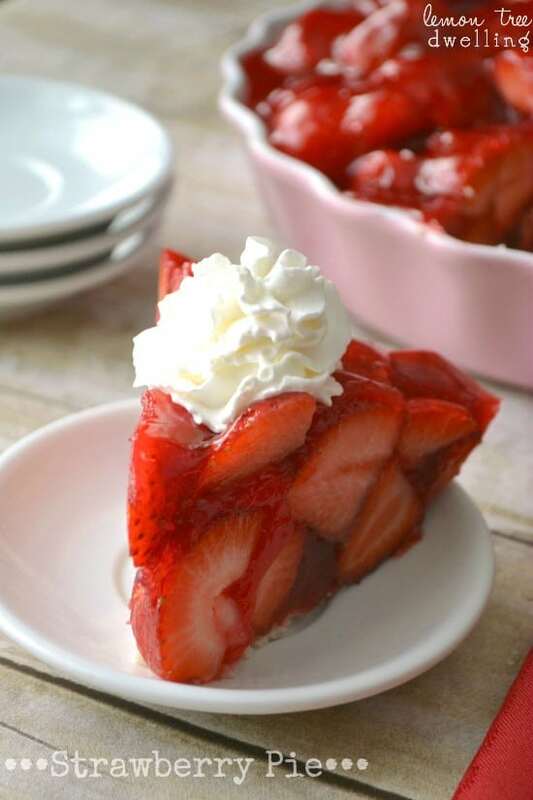 Looking for more delicious strawberry desserts? So simple yet elegant! I love it. 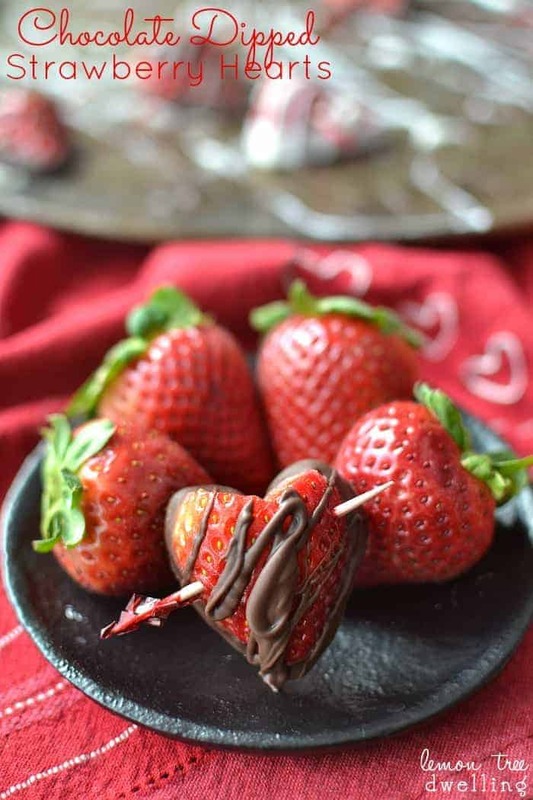 That looks delicious and Valentines Day worthy! 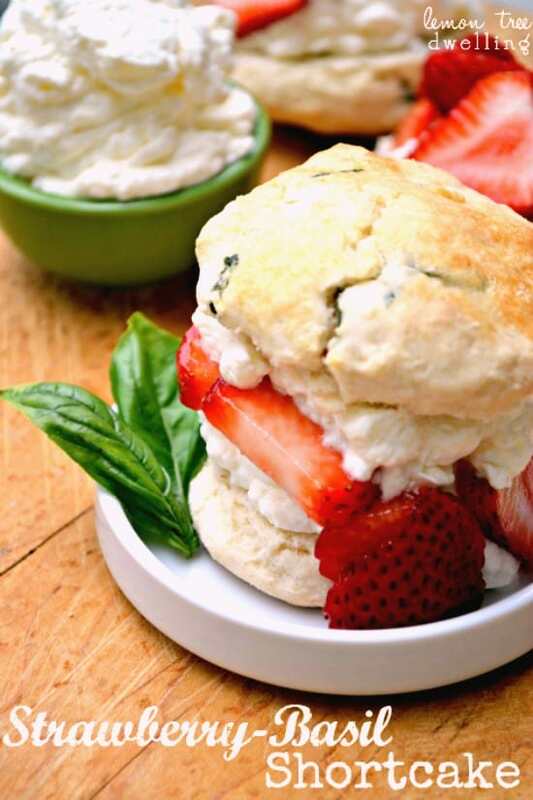 Almost too pretty to eat – with the emphasis on “almost”! I can, btw relate – it’s been ions since we’ve gone out on the town but are excited to have our date nights (in). Finally, we did watch the big game – live in that tiny section of the country that are pro Patriots so it’s been a fun couple of days! 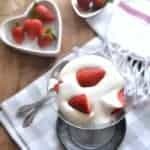 What a refreshing dessert! Love it. 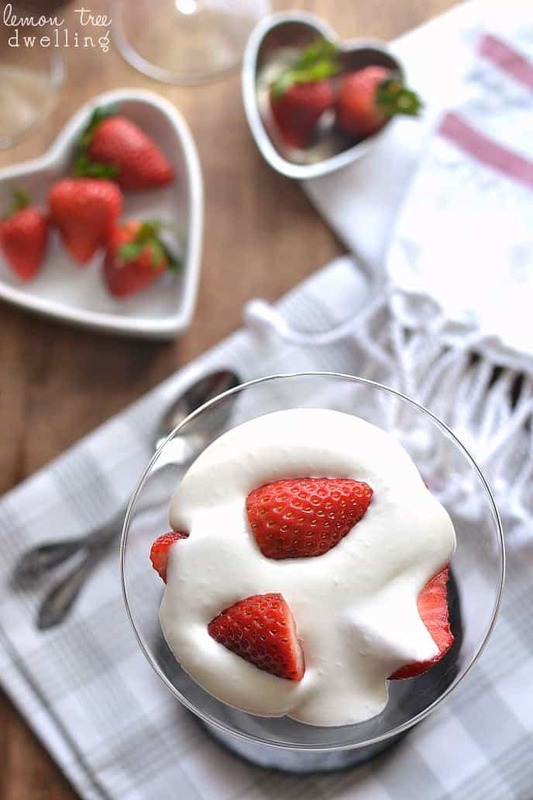 Oh my gosh – this sounds soooo good! And easy too!! Glad you enjoyed your date night!! Love how easy this is!